FEE EcoCampus is part of the Eco-Schools programme. It is an international award programme that guides all third level institutions on their sustainable journey, providing a simple framework to help make sustainability an integral part of campus life. EcoCampus leads to transformative thinking and can help enhance the curriculum and get the whole institution united behind something important. The Eco-Schools programme has been running for over 20 years and reaches over 17 million students in 64 countries worldwide and has been proclaimed as one of the United Nations Environment Programme's (UNEP) preferred global model programmes for environmental education, management, sustainability, and certification at an international level. The EcoCampus/Eco-Schools programme consists of three structural elements - The Seven Steps Framework, the Eco-Schools Themes, and assessment for the Green Flag. To be successful the programme requires support from university leaders and the Board. Active involvement of staff is imperative as well as long-term commitment and the willingness to involve students in decision-making. 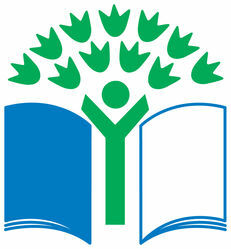 The Eco-Schools programme is run by the Foundation for Environmental Education (FEE). FEE is a non-governmental, non-profit organisation promoting sustainable development through environmental education. FEE is active in five programmes; Blue Flag, Eco-Schools, Young Reporters for the Environment (YRE), Learning about Forests (LEAF) and Green Key. This document constitutes Eco-Schools engagement in and contribution to the Sustainable Development Goals. FEE and Eco-Schools are members of the GAP – Global Action Programme.